An important thread running through Mormonism is the religious significance often attached to secular acts. Part one will explore this phenomenon in light of similar traditions in Judaism, while part two will add managerial perspectives and its connection to eternal progression. Worlds Without End is pleased to welcome back Allen Hansen, who co-authored this piece with Walker Wright. Allen is originally from Israel, but is currently studying journalism at Utah State. He blogs at Calba Savua’s Orchard and Adventures in N-Town. He said that he received a tradition that Enoch was an ushkaf, that is, he sewed together shoes, and with every incision and incision that he made using the stitching awl he blessed God with a whole heart and perfect intent, extending the blessing to the emanated Metatron. Never did he forget during even so much as a single incision to bless, but would always do so, until because of so much love he was not, for God took him and he merited being called Metatron and his virtue is very great indeed. God in Kabbalistic thought is represented by a series of emanations—the ten sephirot—each with its own unique names and attributes. The emanated Metatron was considered to be Malchut, the tenth and lowest sephirah. This Metatron is distinct from Enoch the created Metatron, who is merely given that title. While the quote from R. Isaac is a clear theurgical statement, he does introduce such pietistic elements as emotion and devotion. The Besht said about him that he is the foundation of the synagogue until the coming of the Messiah. Tsippi Kauffman, in her monograph on worship through corporeality, has observed that the majority of the hose-maker’s activities took place outside of the synagogue. It is precisely this paradoxical situation that earns him the greatest praise. Raising the realm of the profane to that of the sacred reveals the true essence of worship and hints at the monism which will prevail with the advent of the Messiah. The Mussar movement fought against a broken and fragmentary Judaism, against a narrow-minded and limited Judaism. It demands a consistent Judaism, a Judaism that is wide in scope and broad in vision. Half-measures do not suffice in observing the Torah. Keeping well-known commandments and warnings alone will not do. The entire framework must be perfected and expanded to encompass the Torah in all of its commandments and warnings, be they those between God and man; between man and man; between man and himself; and between man and the entire world around him. For example, according to the Mussar movement, impatience and severity in judging others is on the same legal and moral footing as theft. R. Israel saw in the pursuit of ethical perfection a communal effort, and as an initial step, sought to establish among the Jewish upper and middle classes groups for the study and application of mussar. This segment of society was well-educated, affluent, and thoroughly involved in community affairs. This does not mean that when Enoch sewed together shoes he was cleaving to supernal thoughts. The law forbids it, for how can he be occupied with something else when he is employed on behalf of other people? Rather, the essence of his unifications was the concern that each and every stitch would be good and strong in order for people to benefit from the shoes. Thus he cleaved to the attribute of his maker who bestows his beneficence on all, and this is how he performed unifications, desiring nothing other than to cleave to the attributes of his maker. In the words of his modern biographer, “When there was a conflict between God-centered piety or kindness toward one’s fellowman, R. Israel preferred the latter, even when it meant sacrificing the former.” Enoch’s ascension came as the result of his intense devotion to benefiting and bettering his fellow man. This was the true essence of God’s own character, so doing even a menial task to the utmost of one’s ability in order to help others is, indeed, the highest form of imitatio Dei. Doing one’s job well even takes precedence over studying lofty theological matters. It is present salvation and the present influence of the Holy Ghost that we need every day to keep us on saving ground…I preach, comparatively, but little about the eternities and Gods, and their wonderful works in eternity; and do not tell who first made them, nor how they were made; for I know nothing about that. Life is for us, and it is for us to receive it today, and not wait for the millennium. That is a mistake, we are the most religious people on the face of the earth. We do not allow ourselves to go into a field to plough without taking our religion with us; we do not go into an office, behind the counter to deal out goods, into a counting house with the books, or anywhere to attend to or transact any business without taking our religion with us. If we are railroading or on a pleasure trip our God and our religion must be with us. The Lamanite had partaken of the spirit and genius of Mormonism. “Water ditch” and water baptism are both vital principles of that religion. The redemption of the soul, the body and the home of man is its purpose…The redemption of the earth, and its restoration to a paradisiacal state, will be brought about in part by the blessing and power of God, and in part by the labors and sacrifices of its inhabitants, under the light of the Gospel and the direction of the authorized servants of God. The Lamanite who had grasped the need of a water ditch by means of which to redeem a portion of the earth’s surface that was a desert had grasped a vital principle of the Gospel of Christ. 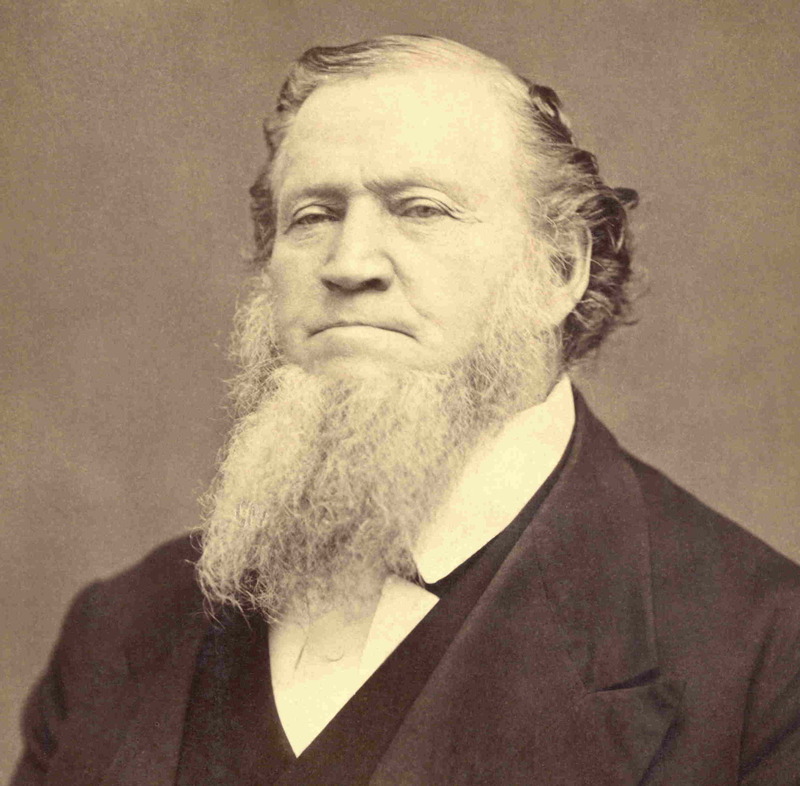 The literal work of the “marvelous work and a wonder” became a way in which Mormons not only sanctified themselves, but married the earthly and heavenly realms. 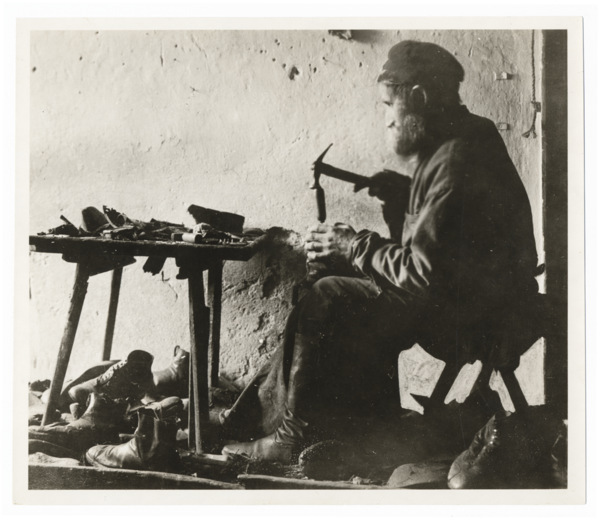 Industriousness was a kind of holiness, endowing daily labors with an invigorating richness and sacred status. It was, in every sense of the phrase, worship through corporeality. 1. Meshullam Phoebus ha-Levi Heller, Sefer Seder ha-Dorot mi-Talmidei ha-Besht (Lvov, 1880), [Hebrew] 46. 2. Norman Lamm, The Religious Thought of Hasidism: Text and Commentary (New York: KTAV Publishing House, Inc., 1999), 323. 3. R. Isaac of Acre, Meirat Einaim, 47. See chapter 4 of Moshe Idel’s The Angelic World – Apotheosis and Theophany (Tel-Aviv: Miskal, 2008) [Hebrew]. 4. S. Daniel Breslauer, Creating a Judaism Without Religion: A Postmodern Jewish Possibility (Lanham: University Press of America, 2001), 98-99. 5. Moshe Idel, The Angelic World, 118-119. The quote is found only in a work by the Sabbatean prophet, Nathan of Gaza. Yet, as Idel has argued, it is likely authentic, there being nothing particularly Sabbatean about it. 6. Jerome R. Mintz and Dan Ben-Amos, In Praise of Baal Shem Tov (Shivhei Ha-Besht): The Earliest Collection of Legends About the Founder of Hasidism (Lanham: Jason Aronson, Inc., 1976), 110-112. 7. Tsippi Kauffman, In All Your Ways Know Him: The Concept of God and Avodah Be-Gashmiyut In the Early Stages of Hasidism (Ramat Gan: Bar-Ilan University Press, 2009), [Hebrew] 275-276. 8. “Rabbi Hanokh said: “The other nations too believe that there are two worlds. They too say: ‘In the other world.’ There difference is this: They think that the two are separate and severed, but Israel professes that the two worlds are essentially one and shall in fact become one.”” (Martin Buber, The Way of Man: According to the Teaching of Hasidism. Wallingford: Pendle Hill, 1960, 39-40). 9. Martin Buber, Hasidism (New York: Philosophical Library, 1948), 71. 10. Glenn Dynner, Men of Silk: The Hasidic Conquest of Polish Jewish Society (New York: Oxford University Press, 2006), 115. 11. Dov Katz, Tnuat ha-Musar: Toldoteihah, Isheihah, ve-Shitoteihah, Vol. 1, (Tel-Aviv: Hotzaat Bitan ha-Sefer, 1945), [Hebrew] 62. 12. “One that bears a grudge against his neighbor…is also culpable of theft.” (Cited in Immanuel Etkes, “Rabbi Israel Salanter and His Psychology of Mussar,” in Jewish Spirituality: From the Sixteenth-Century Revival to the Present, ed. Arthur Green. New York: Crossroad, 1987, 235). 13. Eliyahu Eliezer Dessler, Michtav me-Eliyahu, Vol. 1, (1955): [Hebrew] 34. 14. Etkes, Rabbi Israel Salanter, 219. 15. Ben Zion Bokser, Abraham Isaac Kook: The Lights of Penitence, Lights of Holiness, the Moral Principles, Essays, Letters and Poems (New York: Paulist Press, Inc., 1978), 26. 17. Teachings of the Prophet Joseph Smith, ed. Joseph Fielding Smith (Provo: Deseret Book, 1938), 345. 21. Matthew Bowman, The Mormon People: The Making of an American Faith (New York: Random House, 2012), 102. 33. “A Practical Religion,” The Latter-day Saints’ Millennial Star 43:59 (Oct. 28, 1897): 679. 34. “Practical Religion and Useful Knowledge,” The Latter-day Saints’ Millennial Star 13:40 (April 1, 1878): 199. 36. “Religion and Business,” The Latter-day Saints’ Millennial Star 14:40 (April 8, 1878): 214. This entry was posted in History, Theology by Walker Wright. Bookmark the permalink. Wow! Magnificent post, guys! Excellent analysis of both the Jewish and Mormon sides of this equation. The Jewish comparison seems particularly appropriate given that Mormons see themselves as an Israelite restoration.